On April 4 - Adults with Autism will have their Photo Collage Art Session - Art therapy promotes mental and emotional growth through art making. 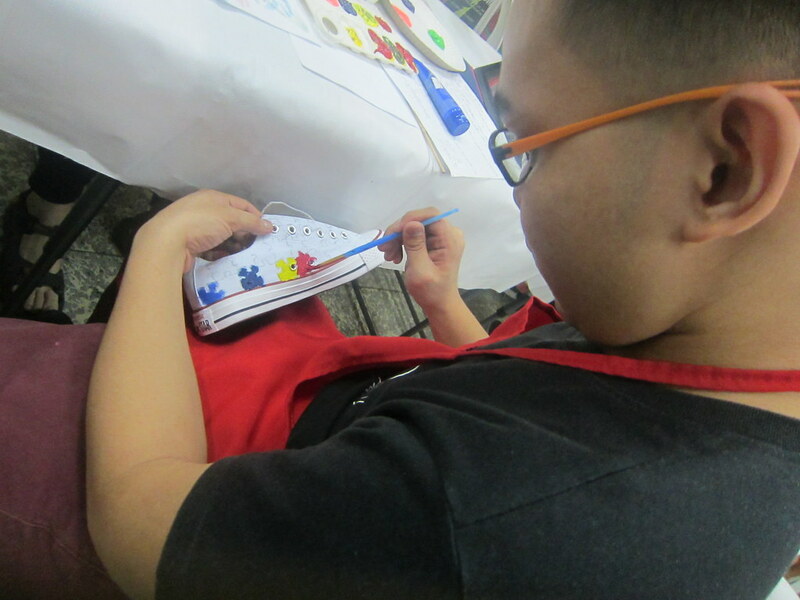 art therapy is conducted with the aim of building life skills, addressing deficits and problem behaviors, and promoting healthy self-expression. Photo collage is Cool Art Therapy Intervention. In art lingo, collage simply means "to glue," and is the assembling of different images or materials to create a new whole. Please bring scissors, glue, pictures of you and your family for about 15-20pieces in different sizes (wallet size, 3R, 2x2), 1/8 illustration board, pencil. On April 11 - we will have Smartphone Digital Photography session - This Wednesday, our PWAy Mates will be learning how to take digital portraits using smartphones from photography experts from Federation of Philippine Photographers Foundation Inc — who will be setting up our HQ like a pro studio! Participants must bring a smartphone (with a camera and enough memory) and outfits they would like to be photographed in, as they will take turns being models as well. Ready? Smile!”. Prepare a P150 donation when you get on-site. On April 18 - we will have a Pangkabuhayang Recipe - adult with autism will prepare Special Polvoron - a popular holiday delicacies, a dessert or snack in the Philippines. Cooking can be an opportunity to increase independence, learn basic academic skills to use in a functional way. PWAs who have sensory processing challenges can benefit greatly from the smells, textures and tastes involved with the cooking process. This will teach the PWAs on proper food hygiene, simple food preparation, and presentation. Participants must bring their own hair net, apron, and closed shoes (no slippers or sandals please). Prepare a P150 donation when you get on-site. On April 25 - Adults with Autism will have Sensory Friendly Movie. To provide a more accepting and comfortable setting for our special audience, ASP will allow bringing up the lights, turning down sound volume, allowing families/PWAs to bring in their own snacks and welcoming audience members to get up, dance, walk, shout, sing, go in and out of the room.